Daily Prompt for 32 Flavors; Vanilla, Chocolate, or something else entirely. 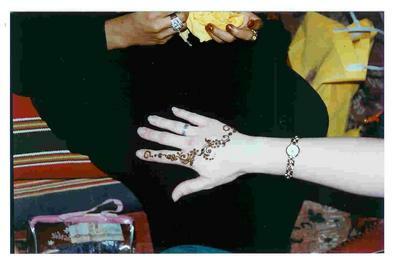 When I joined the Navy in 2000, I had unknowingly become an anthropologist. Little did I know, that 10 years later, I would set out to go to college to become one, an anthropologist. An anthropologist studies humans and their origins, race, culture, societies, development, and a list of other things. There are 4 fields in Anthropology – Cultural, Physical, Linguistic, Archaeology. Most of those in the military, especially the Navy, are unaware of their involvement as an anthropologist or that they are in a way more than diplomatic ambassadors, but they are also anthropologist. They travel to foreign countries as part of their duties, eat food from another country, talk to someone in their home country, shop in another country, walk around on soil that is foreign to them; it is all about submerging themselves into another person’s culture or society. I’m like a sponge, I love to soak it all in. Before we pulled into port, we would have an idea of the things that we could see and do. A group of people are sent out before we pulled into port to find things that would be entertaining. Plus, they would locate the areas that weren’t safe for us and let us know. They would have tours set up and ready for us, names of a few places we could visit, and names of the shopping plazas nearby, as well as passing out a few maps of the city we were pulling into, and most importantly, they would bring bankers on board so we could exchange our currency. The first thing some of us would look for once we got on dry land is food. It isn’t unusual to find a McD’s in most of the places we pull into and since some personnel are accustomed and habited to eating there, that’s the first place, and sometimes the only place that they’ll head to for sustenance. 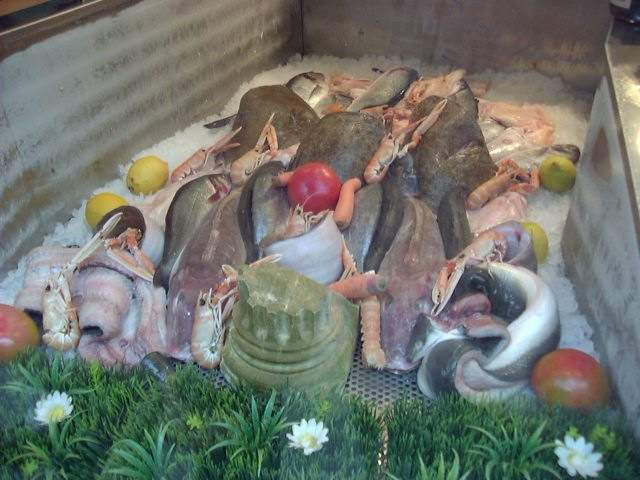 I actually look for something local, as I’m not bothered in trying new food. 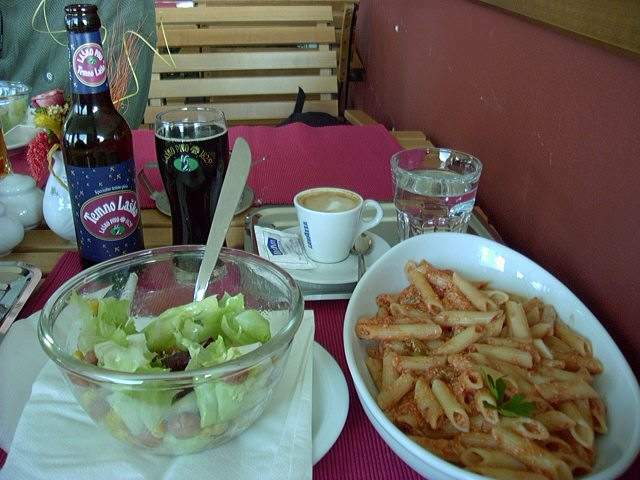 I especially looked forward to touring Italy and eating oven baked pizza and home made pasta. 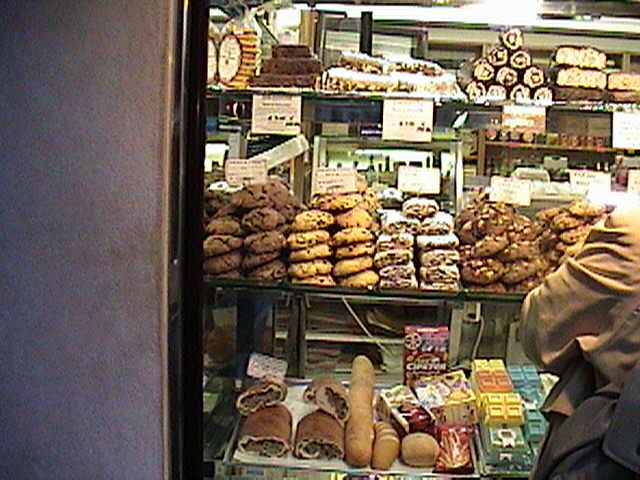 I even had the pleasure of eating tiramisu while I was in Italy, to which I loved immensely. Next thing I had to try was Italian coffee, then gelato. I believed I spoiled myself, that when I came back home to the states, it was something that I searched for. Olive Garden was as close as I could get to Italian food, but I had some trouble finding Greek food, unless I traveled out of my way. There were a few things that I tried overseas that I didn’t like; camel meat is on the top of my list to never try again, Greek burgers aren’t anything like American burgers, and I’m not sure what kind of burger meat I ate in Portugal. 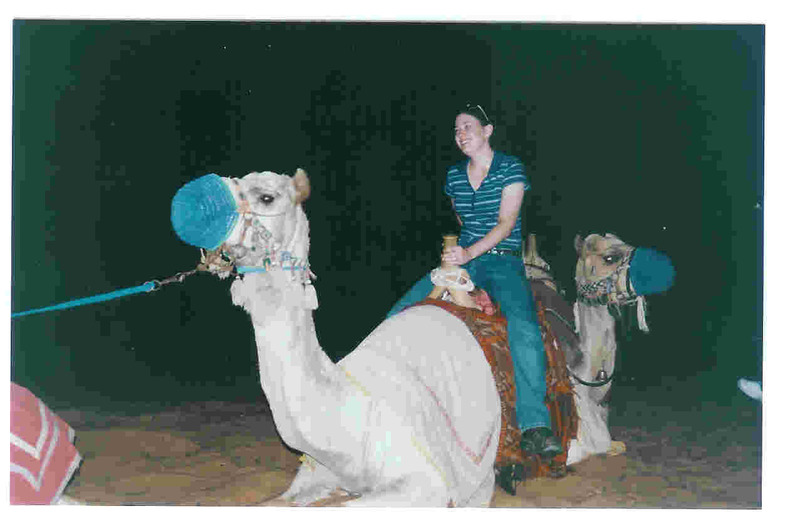 I’ve heard that camel is an acquired taste, or that the person who served it didn’t cook it right. To put it in the daily prompt’s words, it was definitely “something else entirely”. This entry was posted in Anthropology, Blog, US Navy and tagged 32 flavors, anthropologist, anthropology, Arkansas, author, Author Jennifer Adams, author Jennifer N Adams, birds, blog, blogging, camel, camel rides, coffee, college, college student, college students, cooking, creative writing, cultural anthropology, culture, Daily prompt, deployment, diplomatic ambassadors, eating, eating cultures, falcons, family, food culture, friends, gelato, Greek food, growing up, henna tattoo, humans, Italian food, Italy, licorice, McDonald's, military, Olive Garden, pasta, photography, school, Slovenia, society, sweets, sweets shops, tiramisu, travel, United States, US Navy, writing on March 22, 2015 by JenniferNAdams. Or is it ‘Cabin Fever, Winter Blues’? Either way, it’s another fine winter day, stuck indoors. I’m actually being a bit sardonic, but who wouldn’t be unless you could be outside enjoying the weather. Though there aren’t any slopes here for me to grab my snowboard and head out to. Nor is the ground covered in snow, for mini me to go sledding. Instead, the ground is covered in ice that has been melted and frozen, again, and again, over the past few days. Today, our forecast called for a snow and rain mix, which didn’t began falling until late morning. It just made everything that much more slippery. I decided to stay home with my daughter, since I have to drive North where the roads would be much slicker. Though I have driven in wintry conditions, it is very different here in Arkansas, especially when you’re surrounded by drivers who cannot drive on ice and/or snow. Some cannot even drive when it’s raining, so I find it best to stay clear by staying home. My daughter finds serenity in watching the snow fall. 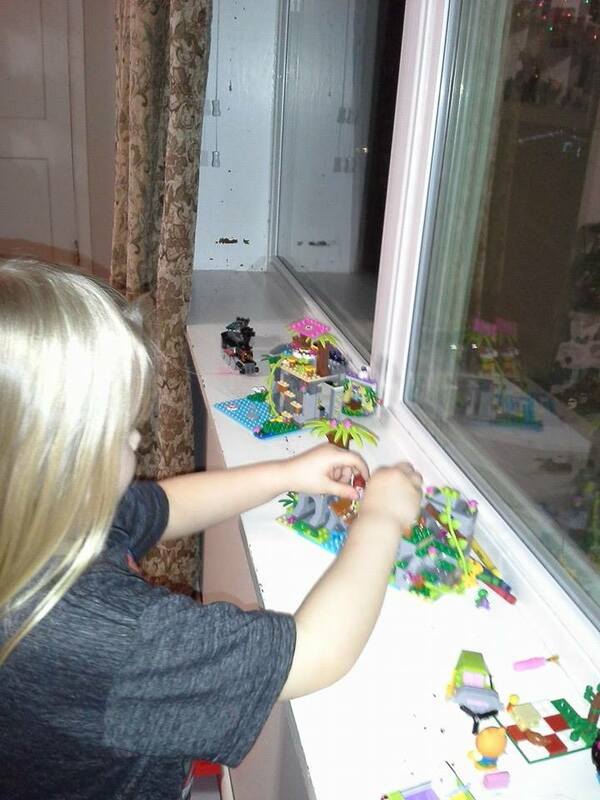 We have a large picture window in the living room with a wide window sill for her to lean on and to also give her plenty of space to play with her toys. On days like this, I find myself in the office, on the computer, trying to finish up homework, or work on the next research paper for a class or two, or do a bit of writing. I think if I redecorated this office, it would have more of a calm, soothing atmosphere where I can be more creative. I think it’s the only room that still has the fake wood paneling from the 1960’s, covering it’s walls. Plus, the photos that cover the wall space above grandpa’s desk are decades old and could be upgraded. I think I may have found my next summer project…to redecorate and rearrange the office. I mostly find my creative energy in a mixture of places, such as, bookstores, coffee shops, libraries, front porch. Sometimes, the recliner in the living room, next to our picture window is a perfect spot for writing, especially on days like today. Anywhere my mind can roam freely. Lately, I’ve been spending most of that free time between classes, in my college library. Just yesterday, I had my headphones on, music going, and I was able to finally finish editing chapter one of my young adult novel. This is the same novel I had tried querying agents last summer for, but without success. It’s a tough job, being an author. Tough market, actually. Some of them were very close in saying yes, adding tidbits of helpful info that would make the next round of querying a bit more successful. So, I began working on it….again. There was originally a prologue, but I had cut it out entirely. Now, I added it back into the novel, but instead of it being a prologue, I made it the beginning of chapter one’s story line. I then moved some of chapter three into chapter one, so the next on my to-do-list is to edit chapter three. 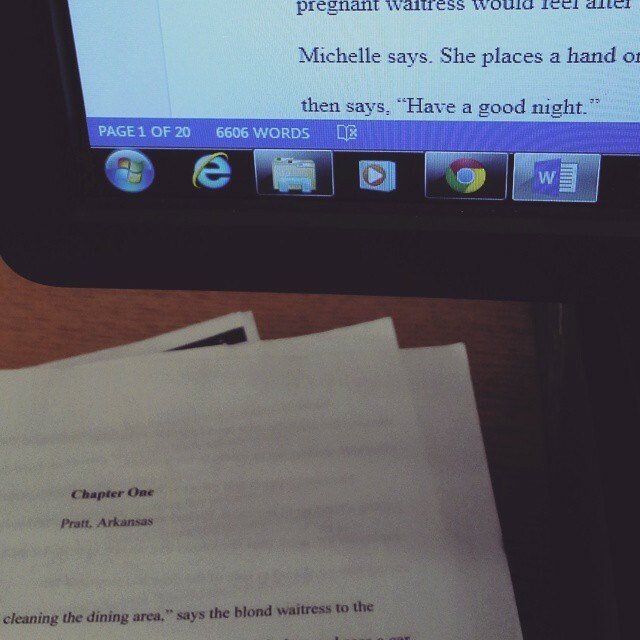 I’m coming up on 60K words total…on the manuscript that is. I’m going to make that a goal that I must achieve. Once that’s done, I am finished…I hope, cross my fingers and knock on wood. I’m looking forward to seeing it finalized once more and also hope that I can send it off to the publisher very soon. I think I’ll try querying agents again, if not, I know a few small publishers that wouldn’t mind publishing it for me. This entry was posted in Blog and tagged agents, Arkansas, Arkansas weather, ASD, author, Author Jennifer Adams, author Jennifer N Adams, authors, Autism, Autism awareness, autistic children, back to school, blog, blogging, books, Bryant Arkansas, cabin fever, children, children with special needs, children's book author, children's books, Children's literature, coffee, college, college classes, college mom, college parents, college student, college students, creative writing, daughter, daycare, editing, editor, family, fantasy fiction, Fiction, friends, getting published, Health, holidays, humor, Jennifer Adams, kids, large publishers, literary agents, manuscript, manuscripts, moms, mothers, novel, novels, parenting, parents, published, published author, publishing, school, sensory processing disorder, single mom, single moms, single parent, single parents, sleet, small publishers, snow, SPD, Special needs, toddlers, toys, weather, winter, winter blues, winter weather, writer's on February 20, 2015 by JenniferNAdams. 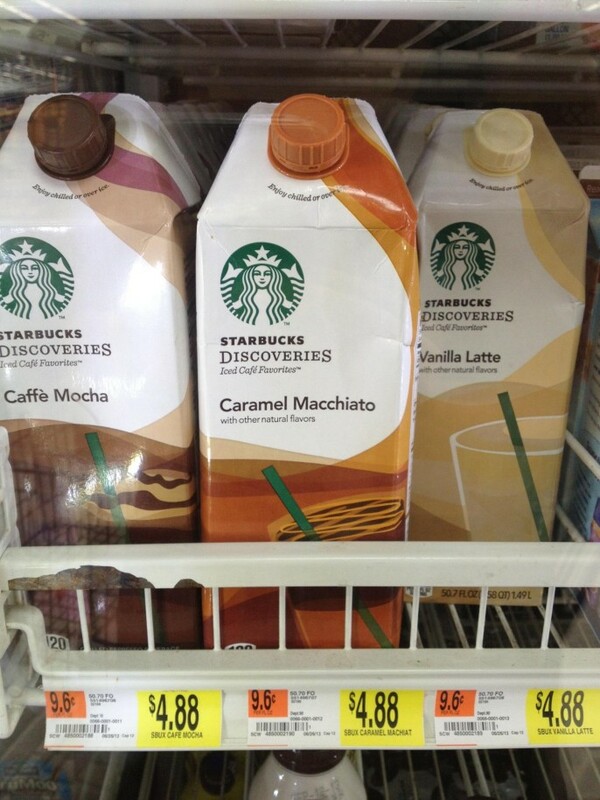 This morning I decided to buy the Starbucks Mocha drink mix while I was out shopping at my local grocery store. The price for the drink mix is about the same price for just one of their medium sized drinks, so why not save money and make my own at home. Other times, I get the Starbucks mocha samplers that they have in the coffee aisle. When I got home I noticed it didn’t have any recipes on the carton, nor any websites for the buyer to go to find homemade recipes using their mix. I spent twenty minutes searching the net for a good recipe when I kept coming up on the same homemade recipe that everyone is using that didn’t ask for the mocha mix. Instead, they asked for you to brew a cup of coffee, add several cups of milk, a cup of ice, 3/4 cup of sugar (REALLY?? That’s a lot of sugar for just one cup of coffee), then add chocolate syrup or cocoa powder. Hmm, so not what I was looking for. I then decided to just make up my own recipe, though with the help of the Oregon Chai recipe (found on their website, as well as on the side of their cartons). I did go to one of the few Starbucks websites looking for recipes, but found one of their websites that looked more or less like a training site for their employees. 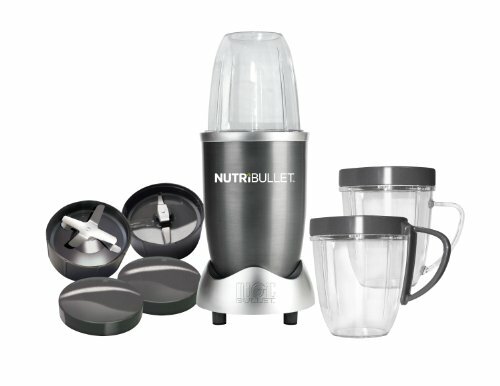 Their main page just shows what’s on their menu and you can also shop for coffee or buy one of their coffee machines. I guess their recipes are Top Secret or they would rather you spend your money on having one of their employees making you one from their store. I’ve learned that adding a banana to the mix helps make a perfect blend and keeps it from being too foamy. If you have a better recipe, please leave it in the comments below. This entry was posted in Blog, Recipes and tagged blenders, cocoa, coffee, coffee mix, expensive coffee, frappe, frappuccino, frappuccino recipe, homemade, homemade mocha frappes, mixes, Mocha, mocha frap, Nutri Bullet blender, NutriBullet, oregon chai, recipes, smoothies, starbucks on June 4, 2014 by JenniferNAdams. Tuesday night was a very busy night. 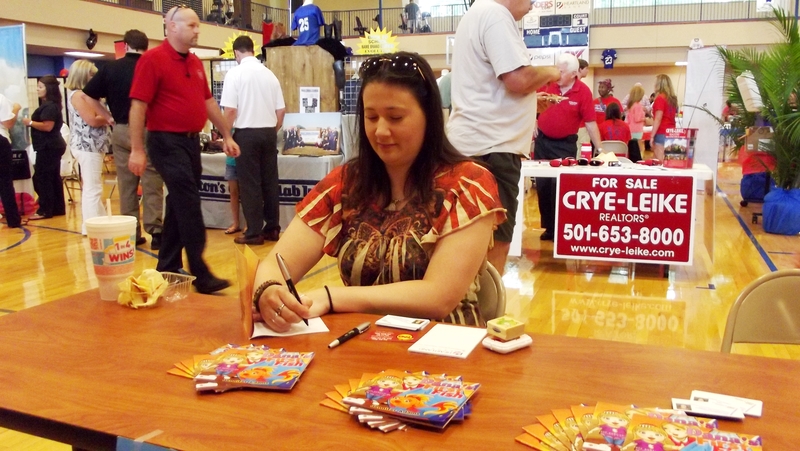 I set up a booth for a book signing at the Taste of Bryant event that drew a crowd of almost 900 people. A few of those people even included some politicians. At least three of those politicians stopped by my booth and chatted with me. 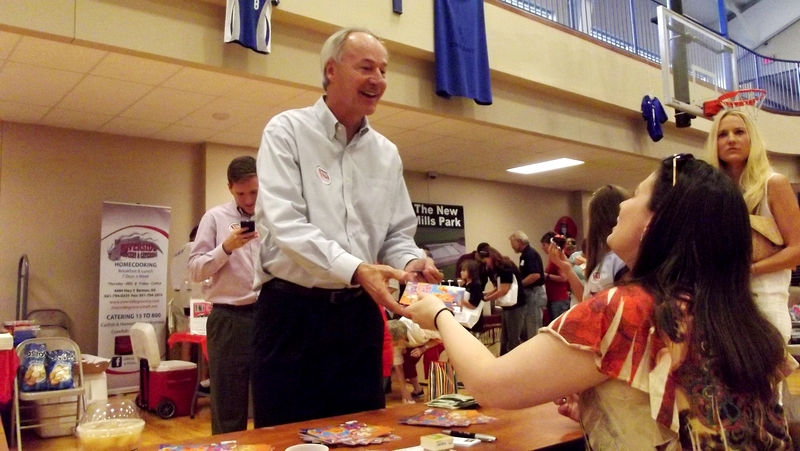 One politician, Asa Hutchinson, Republican candidate for Arkansas Governor, chatted with me and bought one of my books for his grandchildren. It was an honor to have met him in person and have a chance to chat with him for a few minutes. He is really a great guy! The Taste of Bryant seemed to have been a popular event as I watched a constant flow of people visiting each vendor table. The aroma of BBQ, salsa, coffee, cooked meats, and other spices nearby only teased my senses, drawing even my attention to the vendor tables. My mother, who joined me for the event, continued to bring back samples of food from each vendor, telling me how delicious each one was. She brought back a few samples for myself, one of which was chips and dip from Moe’s Southwest Grill. The cheese dip and salsa was a little spicy, but it was really good! The crowd was finally starting to dwindle and it was time to pack up and leave. I enjoyed chatting with everyone that visited my booth. 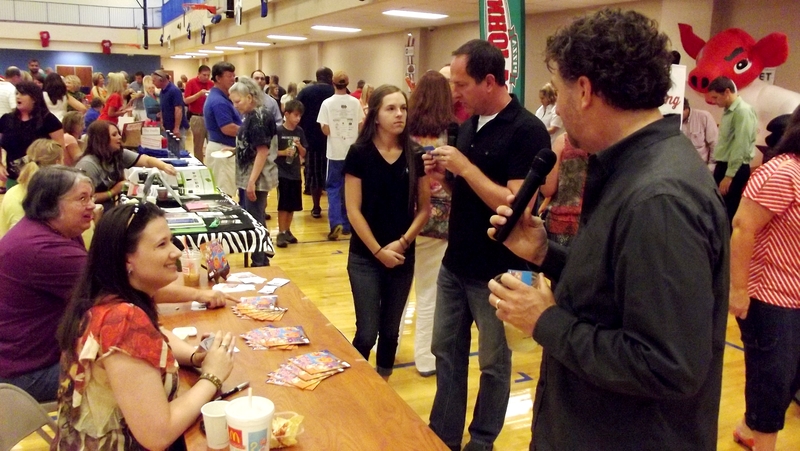 It was a successful night for the Taste of Bryant, including myself as I sold a handful of books. I’m looking forward to setting up a booth at the next big event in September. This entry was posted in Blog and tagged Arkansas author, Asa Hutchinson, author Jennifer N Adams, BBQ, Bryant Arkansas, children, coffee, Dana's First Fish, Jennifer Adams, Moe's Southwest Grill, parents, published author, Republican candidate for Arkansas Governor, single mom, single parents, Taste of Bryant on August 1, 2013 by JenniferNAdams. 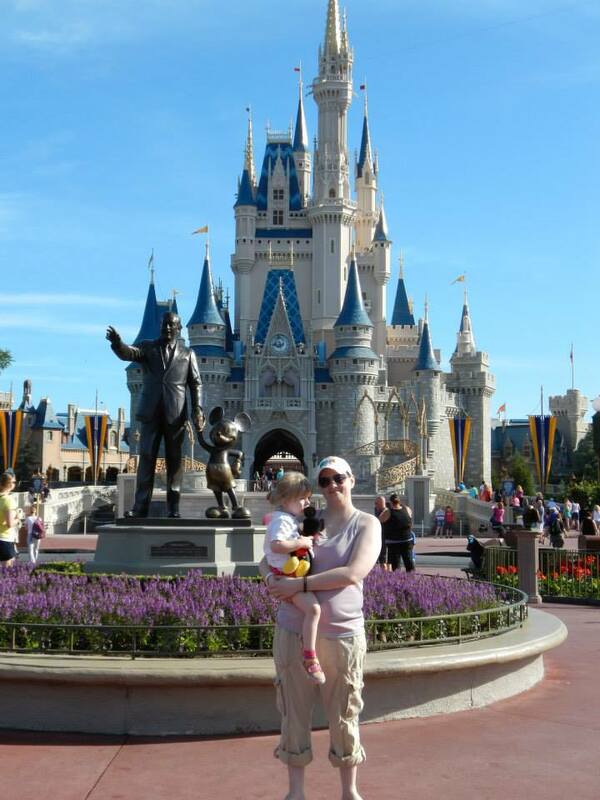 Day Two – We got up early the next morning and stood in line to get into the park. The fun part was riding the monorail to the Magic Kingdom. We ate breakfast inside the park again, mini Belgian waffles with fresh fruit, which was really good. 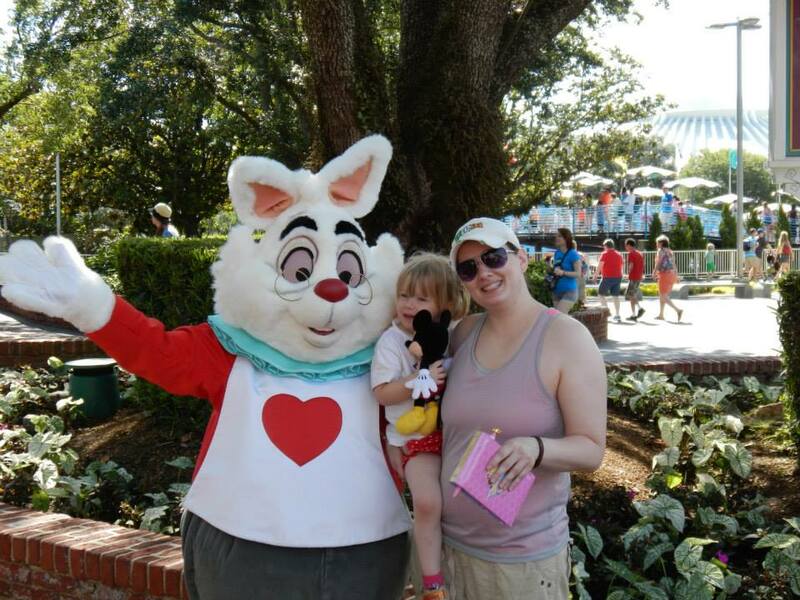 They chatted for a few minutes about finding the White Rabbit and then Alice signed my daughter’s autograph book before we went to ride the tea cups. Seeing my baby’s face when the ride started was priceless. She smiled and giggled and shouted “Wee!” the entire time the ride was going. 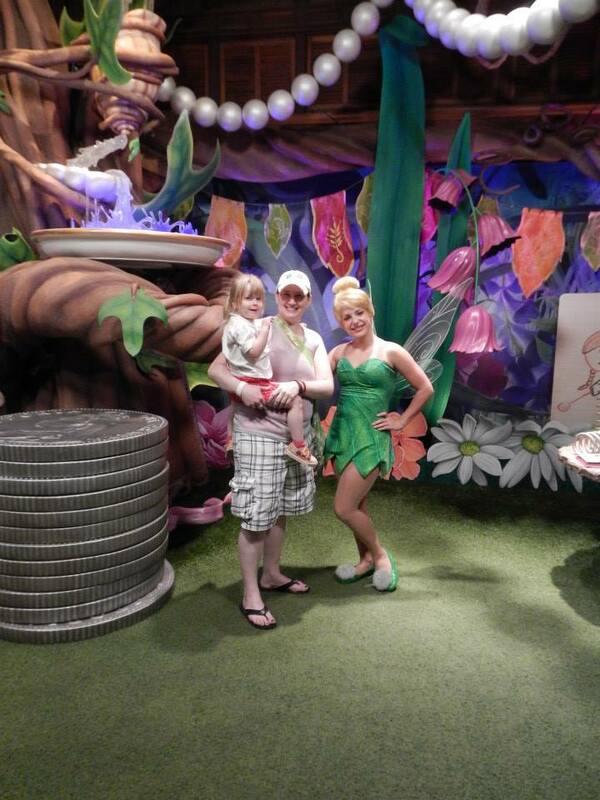 When we got off the White Rabbit was hanging out with Alice and we had to go stand in line again just to meet him. 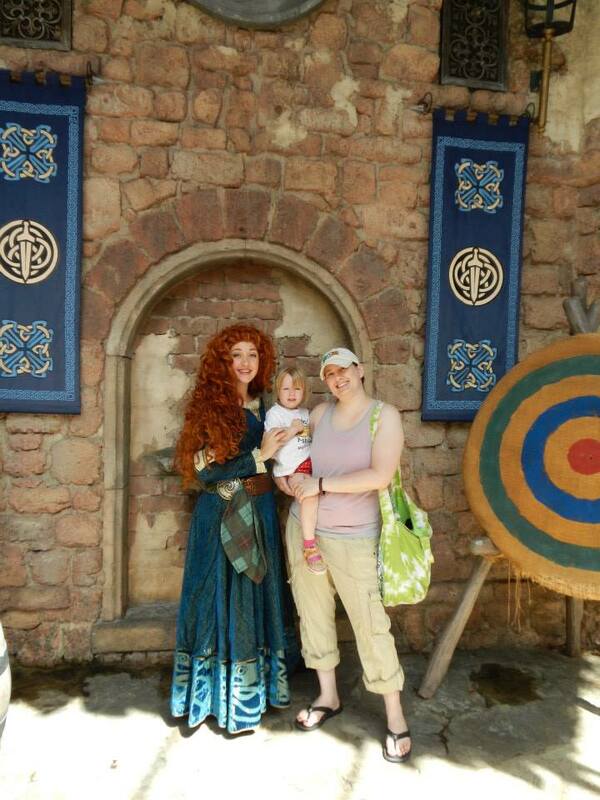 We continued to ride rides and meet characters, especially her most two favorite characters, Merida and Tinker Bell. The best part was the fast passes. My brother-in-law, James, would go get our fast passes while we stood in line for another ride. The fast pass had a time on it where we could go back to that particular ride and cut to the front of the line. Most of the rides had signs saying how long the wait was. The worst part was how expensive everything was. I knew that it might be expensive before I got there, but Starbucks coffee is considerably cheap compared to coffee at Disney. And $2.50 for a 20oz bottled water and $4 for a small bag of cotton candy? We actually agreed on McD’s for lunch outside of the park, followed by a nap … for us adults. Though the nap was cut short due to an anxious three year old who wanted to go ride more rides. On our way back to the park, we rode the Ferry instead of the monorail, then caught the train to the northern part of the park where my daughter and I rode the magic carpet ride. It was similar to the Dumbo ride except there’s a camel that’s spits water. It didn’t matter to my daughter, she was still enjoying herself, until the fireworks started. We had caught the light show parade, which was beautiful. My daughter pointed out to a few of the floats, shouting their names. It was great to see Pete’s Dragon again. The last time I had seen Pete’s Dragon was … uh, a really long time ago. After the parade, we met up with my sister and brother-in-law and made our way to Cinderella’s castle. The fireworks pre-show was absolutely amazing! They fly Tinkerbell out to the castle where she tosses some fairy dust onto it and the castle starts to change it’s appearance. My daughter was sitting on top of her uncle James’ shoulders, watching the show. Her face was just priceless that I had tears. There was a few minutes interlude between the castle show and fireworks, which gave us some time to move closer to the exit. As soon as the fireworks started, everyone stopped moving and stared up to the sky. It was beautiful. My daughter started to get a little fussy as the sound of the fireworks echoed throughout the park. Not a pleasant thing for a child on the spectrum. All and all, day two was wonderful. I was looking forward to the next day. 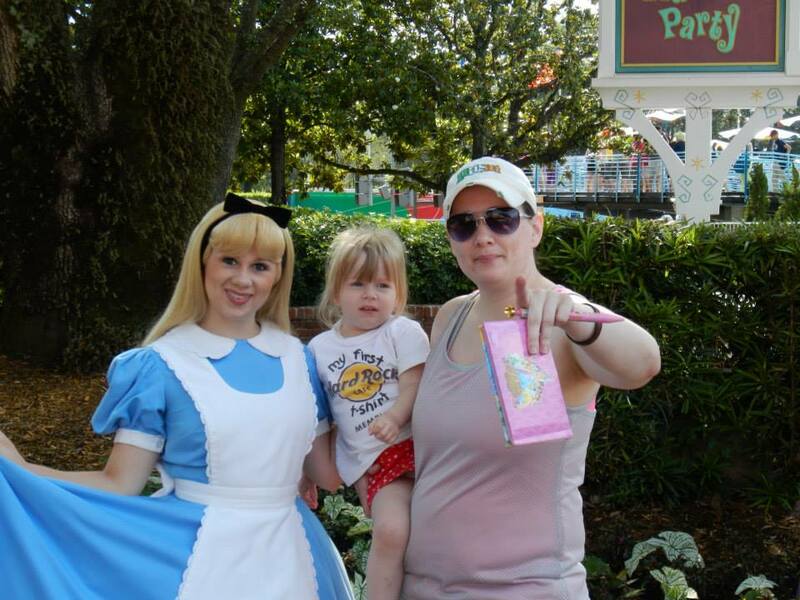 This entry was posted in Blog, Disney World 2013, My daughter and tagged Alice in Wonderland, Brave, children, Cinderella's Castle, coffee, Disney World, kids, Magic Kingdom, Merida, my daughter, parents, single mom, starbucks, Tinkerbell, toddlers on May 31, 2013 by JenniferNAdams. It can be nerve wrecking sometimes when you cannot find the recipe you’re searching for. I’ve spent over an hour so far just looking for the right recipe for a Chai tea frappe or smoothie just to save myself a bit of money from having to go to a chain coffee shop to buy one. Each recipe I found had a long list of items that I would have to buy. But, why buy all those things when you can buy the Chai mix in liquid or powder form? To which I already have. And you can get both in plain or vanilla. I usually get both in the concentrate to change it up now and then. When I finally found a recipe using the Oregan Chai mix, everything was measured in ounces. Using a chart I figured the comparison from ounces to cups. This entry was posted in Blog, Recipes and tagged author, Author Jennifer Adams, blogging, chai tea, Chai tea frappe, coffee, easy recipe, fun, Health, oregon chai, Oregon Chai tea latte, recipes, recipes for smoothies, reviews, smoothie recipes, smoothies and drinks on May 5, 2013 by JenniferNAdams. I walk through the door on the the cafe side of Hastings in Benton. It has become my usual place to be on Friday mornings. I sit at one of the tables that are situated between the magazines and the Hardback Coffee Cafe. 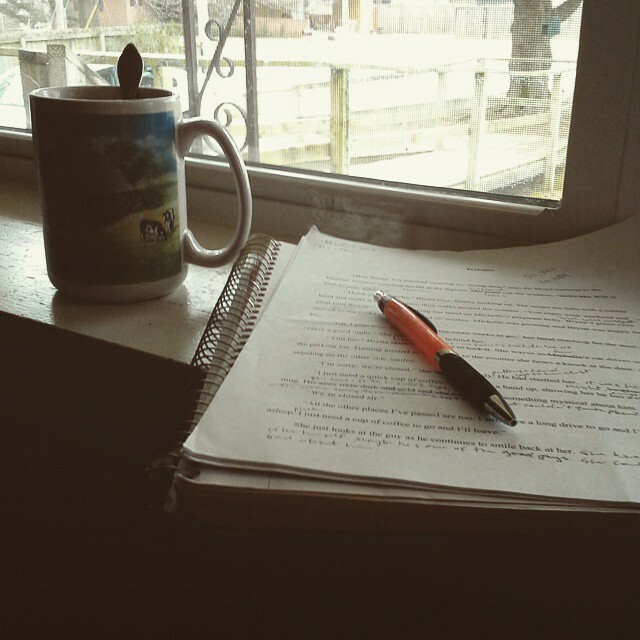 Immediately I begin pulling out my notebook, pen, and the current manuscript I’m working on and begin to work. My other writing places are at home, Pulaski Tech’s library, and the Bryant public library. The change of scenery seems to help my creative mind. This is how I have learned to break my writer’s block. I love it here, being surrounded by books. It’s just like being at the library, but it has a different atmosphere. The aroma of coffee, my favorite smell, teases my nose. Its alluring magic overwhelms my sense of want like an imaginary hand, pulling my attention towards the coffee counter. I get up and place my order, Chai tea frappe. I watch the tall blonde young woman make my order. Her hair pulled up in a short pony tail. She has a colorful tattoo on her arm that I cannot quite make out and a bracelet that looks to be made out of blue plastic beads. She sets my cup down in front of me and tells me how much it is. I hand her exact change and return to my seat. I slowly drink my frappe and the cold taste hits my taste buds; a wonderful mixture of vanilla and creme, sweetness and cold. It hits the spot and the imaginary hand soon disappears. I finally begin to write. The words just pour out onto the page. Customers come in and out through the door behind me, ordering their drinks. I never stop to look up to watch them, though I can see them in my peripheral view. Some sit and tap on their laptops, or browse through the magazines before moving into the other part of the store. A lady sitting at the table next to mine taps away at her laptop. She’s been here every Friday like me, though she arrives before I do. I listen unintentionally to her long fake nails clicking on the keyboards. They make a rhythmic, yet annoying sound, but only last for a few minutes as she packs her laptop into its bag and leaves. 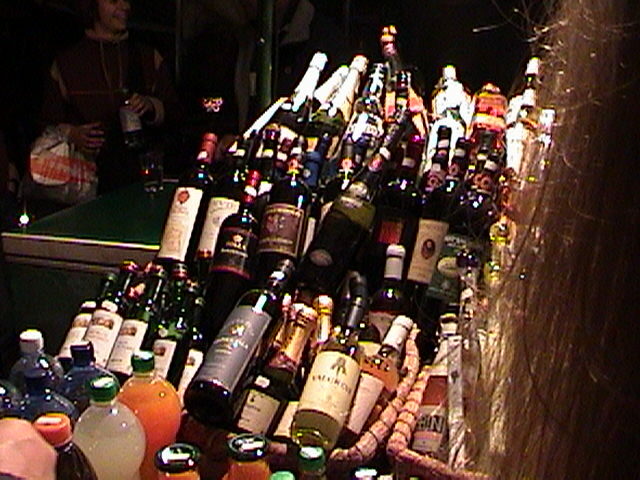 The employees behind the register rotate out. The young blonde woman is replaced by a tall, dark haired young man with a beard. He turns the music on, playing it low on the speakers overhead. Immediately he begins to sing along. First it’s Adele, followed by Christina Aguilera. i smile, still staring down at my notebook. Soon I find myself humming along. I don’t seem to mind listening to him sing as he isn’t bad. He walks around the small cafe, wiping the table tops. I look up and my eyes wonder to the magazines. Famous places, cars, faces, and movie stars stare back at me. It’s time for a mental break. I pack my things into my bag and head back towards the books. 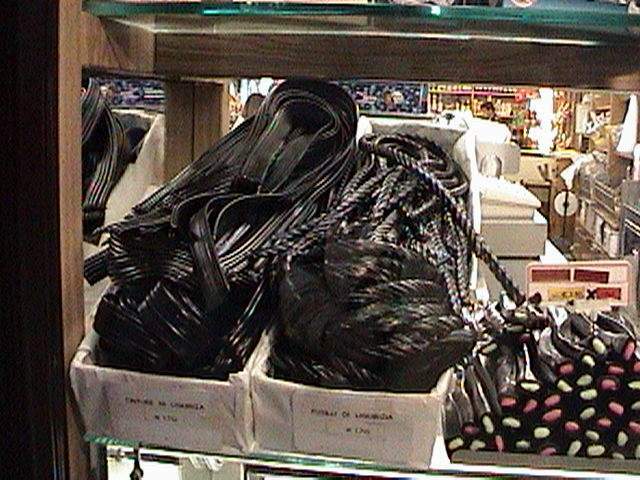 After a few minutes of walking through the aisles at a snail’s pace, my phone rings. My sister wants to meet up for lunch. Pizza. My stomach helps me answer yes. I didn’t realize the time, it was almost 1 PM. I had been here for three and a half hours. Time had surely flown, but yet I made great use of that time. I’m looking forward to next Friday morning and begin, what seems like a routine, all over again. This entry was posted in Blog and tagged Adele, author, Benton Arkansas, books, Chai tea frappe, Christina Aguilera, coffee, hardback Coffee Cafe, Hastings book store, library, writer on April 27, 2013 by JenniferNAdams. 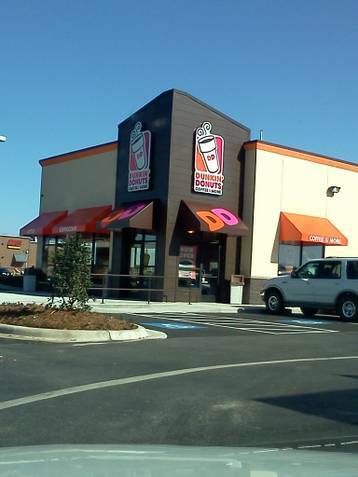 April of this year, ground was broken for the construction of the much anticipated Dunkin Donuts here in Bryant, Arkansas. After a few months of delays and set backs, it finally had its grand opening, yesterday. I drove by on my way to school only to just keep on driving. I was hoping to stop and get a donut and coffee myself, but the parking lot was crowded with no place to park, the lobby was packed with people, and the drive-thru also had very long line. I would’ve been late for class, no wait, I may not have made it to class at all as crowded as it looked, so I continued on to school. 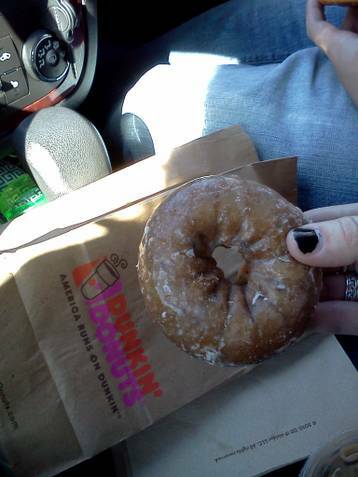 I attended my first class then came back to Dunkin Donuts as soon as we were released. My other class wasn’t until two hours later, so I had plenty of time to stand in line, if there was one. I brought my friend Steaven along, as he’s never had Dunkin Donuts before. When we arrived, there still wasn’t a place to park, but the line inside wasn’t nearly as long as it was this morning. I was impressed though, I knew they were going to do well here. 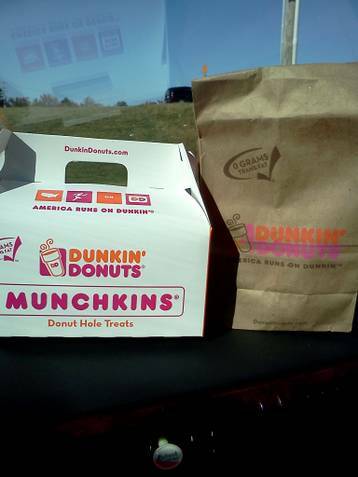 We have a few knock off donut shops in the area, but their donuts are not nearly as good as Dunkin Donuts. 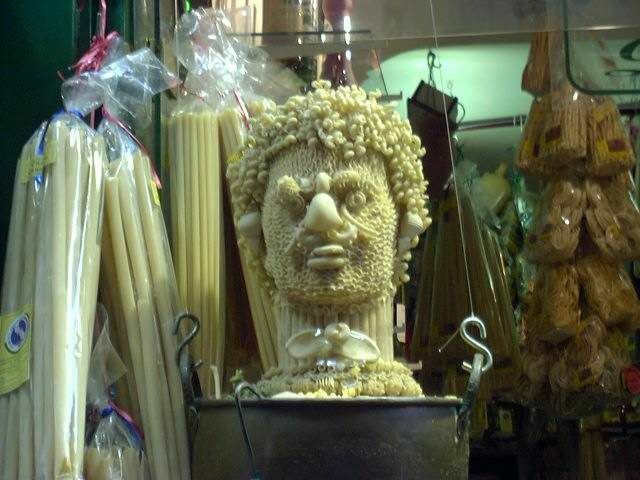 I grew up eating DD. I’ve had Krispy Kreme’s and am not a fan, at all. Think I’m just spoiled on DD…thanks dad and grandpa! 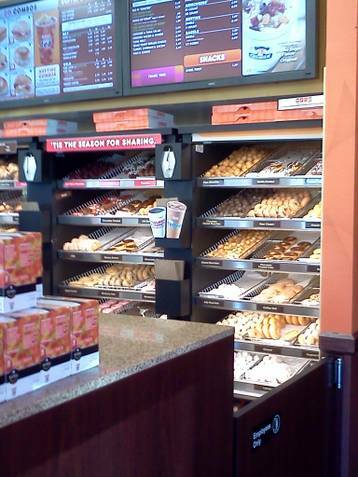 The line was moving very swiftly and I was looking around people, trying to find my donut of choice. When we finally got up to the register, I spotted my ultimate favorite, blueberry cake, which I just had to have. I also made sure to get my little girl some donut holes, and also got myself an iced mocha coffee (just to try it). Steaven ordered 2 Bavarian crème donuts and an iced mocha latte coffee. 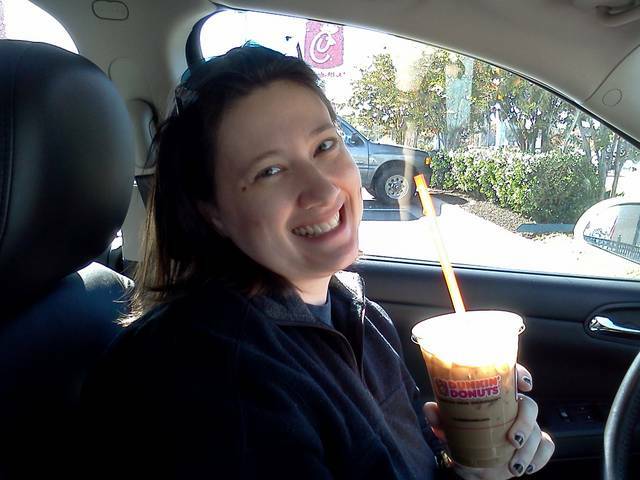 This entry was posted in Blog and tagged Bryant Arkansas, coffee, college, Dunkin Donuts, Dunkin Donuts Grand Opening in Bryant, fast food restaurants in Bryant Arkansas, food blogging, friends, Krispy Kreme, siblings on November 13, 2012 by JenniferNAdams.